Tent has become a very popular temporary sturcture for different kinds of activities. Our 20x40m Event Tent With Plain White Roof Cover for Church will be your good option. White Event Tent for Church are available in clear span width of 10m, 15m, 20m and more, it is not only water proof , but also fire retardant . What’s more, White Event Tent for Church are a modular design which can be increased or decreased in 5m. And this 20x40m tent can cover about 800 people. 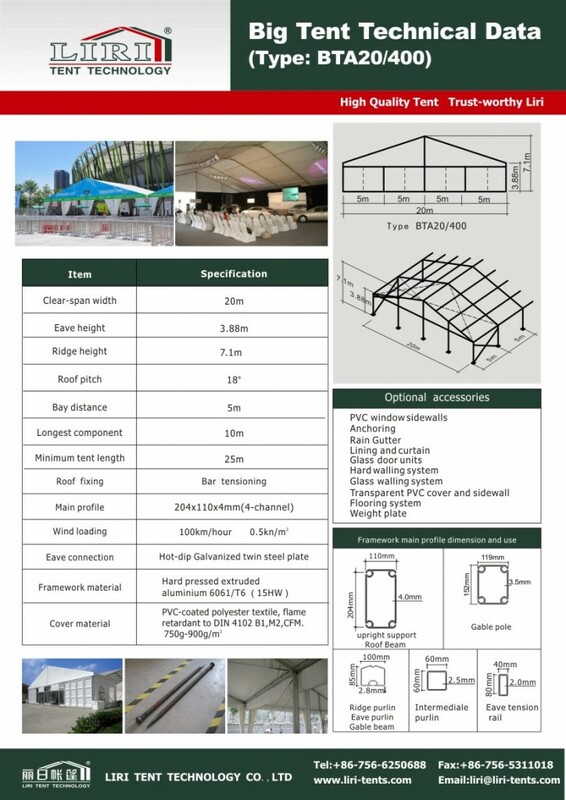 Here is our technical data of tent and the size can be changed according to your requirement. Full line accessories for your reference. 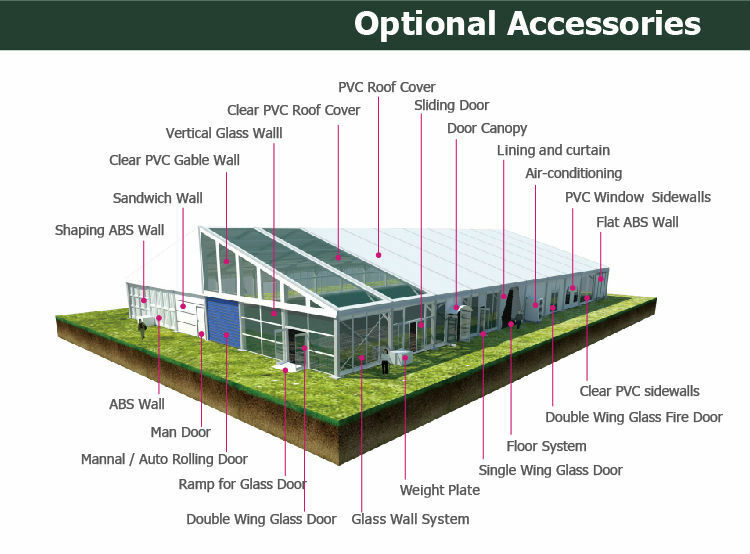 You can choose glass wall system, glass door and so on to make your event more attractive. Want more details, just feel free to contact me.